business and its data are constantly under threat. 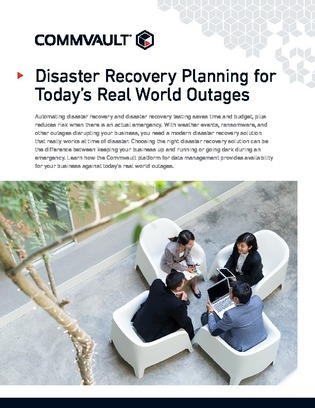 But with physical servers, cloud platforms, and other distinct elements that compose today’s hybrid environments, successfully implementing and managing a disaster strategy can be burdensome on IT. That’s why many organizations are turning towards comprehensive platforms that cover all of these elements under one, streamlined umbrella.